AISTECHSAT 1 is a 2U CubeSat developed by Aistech to help with maritime and aeronautical tracking as a prototype for a larger constellation. The satellites provide aircraft tracking tracking via an ADS-B receiver. Also a bidirectional communication system is on board to send and receive automatic information from the vessel or remote asset worldwide. Aistech plans initially a constellation of 25 such Danu nanosatellites encircling the planet. Eventually 102 satellites in 2022 are envisioned. AISTECHSAT 1 was tested during high-altitude ballon flights. It was not launched into orbit. AISTECHSAT 2 as the orbital prototype was launched on Spaceflight Industry's SSO-A multi-satellite launch on a Falcon-9 v1.2 (Block 5) rocket. AISTECHSAT 3 or Danu Pathfinder was launched in the first quarter of 2019 on an Indian PSLV-QL. 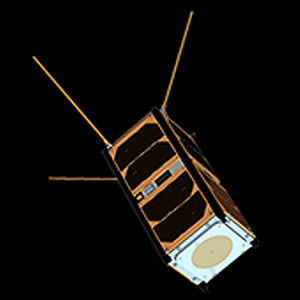 The first ten Danu satellites are to be launched beginning in the third quarter of 2019 to early 2020. Danu 1 - 2019 with ? Danu 2 - 2019 with ? Danu 3 - 2019 with ? Danu 4 - 2019 with ? Danu 5 - 2019 with ? Danu 6 - 2019 with ? Danu 7 - 2019 with ? Danu 8 - 2019 with ? Danu 9 - 2019 with ? Danu 10 - 2019 with ?